I am so grateful to have been able to turn my passion into a career. Being the content creator and editor at awedbymonica.com is my dream job. With 18 years of luxury retail experience, I have been able to turn this space into a resource for women looking to do more than just get dressed, for women who embrace their role as mothers and wives, but also like to express themselves as individuals, and for busy women who look to me for the latest in fashion and beauty. 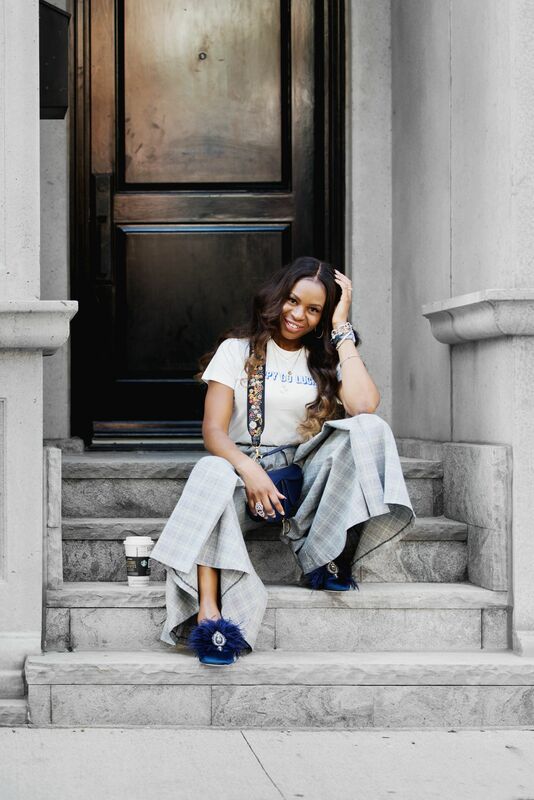 When I left retail to become an Atlanta fashion and lifestyle blogger, I had specific goals in mind. I wanted to show you how to make inexpensive items look like a million bucks, answer your fashion and beauty questions, and keep you up to date with the latest trends. I spend hours researching, putting looks together, shooting, and coming up with new ways to share my passion with you. It’s not always easy balancing motherhood, being a wife, and working 7 days a week to ensure you have great content. But, when you do what you love, you find a way to make it all come together. I just wanted to take a minute to introduce myself to those who are new to this community and reintroduce myself to those of you who have come along with me on this journey. My latest goal is to become your new favorite fashion and lifestyle blogger. I’ll be sharing more fashion, more beauty, and more on my life as a mom and full-time entrepreneur. So, stay tuned! Now let’s see who’s been paying attention. What fall fashion trends am I featuring today? If you guess plaid, you’re right! My plaid check culottes are right on trend. The cowgirl chic trend was featured in one of last weeks post and I will continue to highlight the trend throughout the season. If your third guess was fall-florals and feathers, you’re right again! It’s not your average floral print. My dress has a brighter background but still has a fall vibe once paired with fall accessories like my feathered mules. Now it’s your turn. Drop a line to introduce yourself and share your favorite Fall trend. LOOK 2: t-shirt . 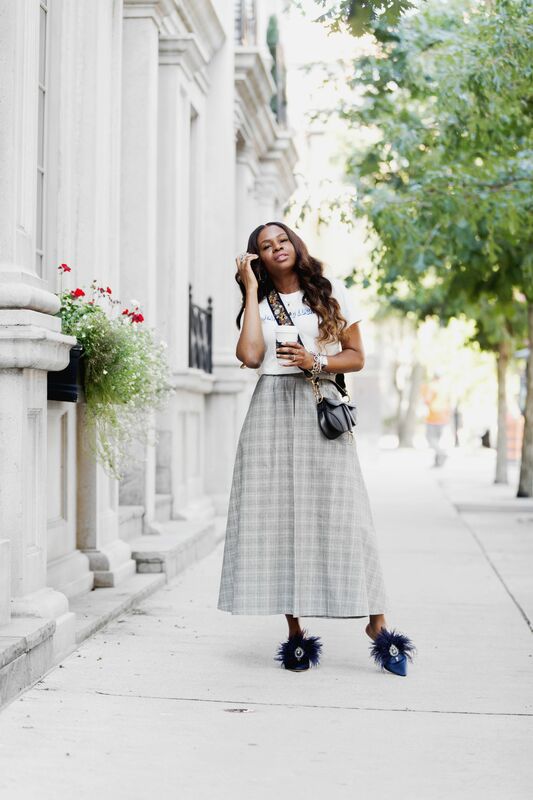 plaid culottes . Dior saddle bag . feather mules .